Cappodocia, meaning “the region of beautiful horses” in the ancient grek is the name of the land that has been ruled by different Powers such as Assyrians, Hittites, Firiks, Kingdom of Cappodocia, Roman, Byzantine and Ottoman since BC 3000. This region is one of the real wonders of the World an done of the best examples of civilization and the integration of the differences. 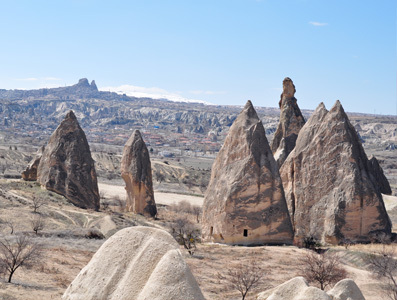 Fairy chimneys and geological structure of Cappodocia which is unique in the World have formed as a result of eruption of Mt. Erciyes volcano about 30 million years ago. So probably it will not be wrong to call Erciyes as the father of Cappodocia. 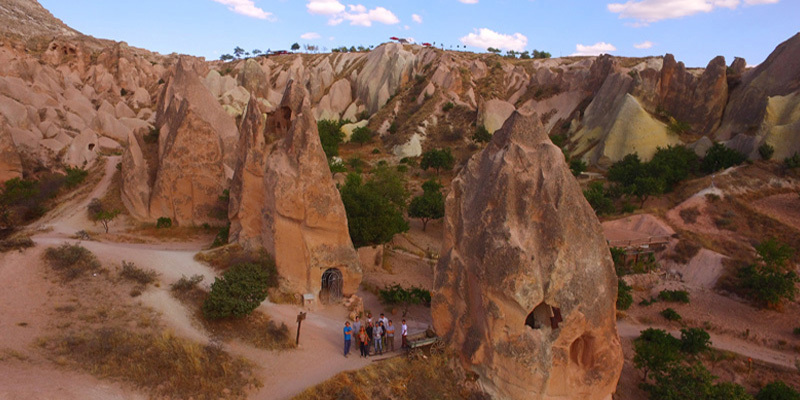 While the geographic Events were giving shape to the fairy chimneys, people who lived in that area in the historical process carved homes and churces inside these chimneys. They have created their own particular field of life and decorated them with frescoes those which are still in the signs of ancien civilization from thousands of years ago. 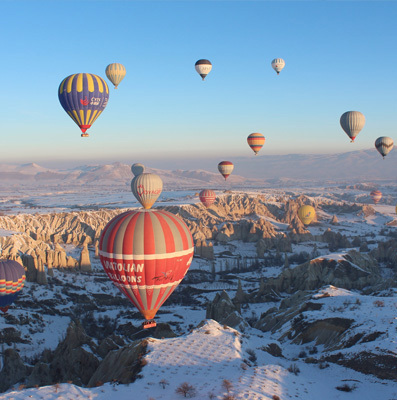 Cappodocia is the region which contains several famous towns such as Urgup, Goreme, Uchisar, Zelve, Avanos and Derinkuy. Every year more than 2 million tourists are visiting these places from all over the World. Thus, it will not be wrong to call the Erciyes Mountain as father of Cappadocia. While the geographical events formed the fair chimneys, the people living in that region within the historical period engraved houses and churches into these fair chimneys and created a living area which is common for them. Frescos in these places still transfer traces of the civilization for thousands of years to our day. 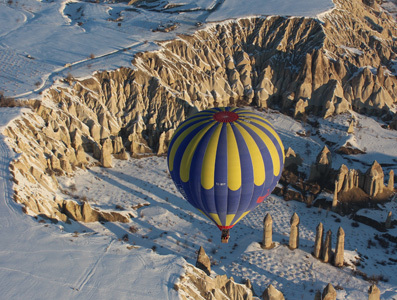 The Cappadocia Region includes major centers such as Ürgüp, Göreme, Uç Hisar, Avanos, Zelve, and Derinkuyu that the visitors coming from the entire world enjoy to travel and see. 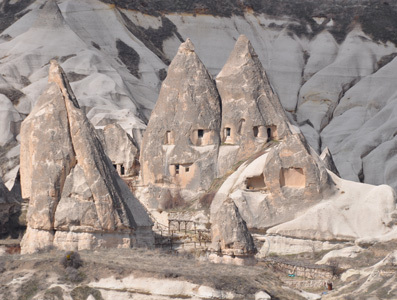 Unique caves and historic sites in each of these regions are annually visited by more than 2 million tourists.